Welcome to the hacking era where almost every single gadget could be hacked, including cars! Yeah, probably people never expect cars could be manipulated by hackers. But that’s a long time ago. Nowadays, cars has turned to moving gadget (or moving smartphone). Because you can connect your smartphone to infotainment system inside the cars, such as iDrive, UConnect, etc. After pairing, you are able to play musics that have already saved in your phone, see pictures, and even make a phone call. And recently, duo hackers Charlie Miller and Chris Valasek demonstrated to Wired magazine that they could hack latest Jeep Cherokee which was being driven by Andy Greenberg, Wired’s journalist. So, what could hackers do to the Cherokee? 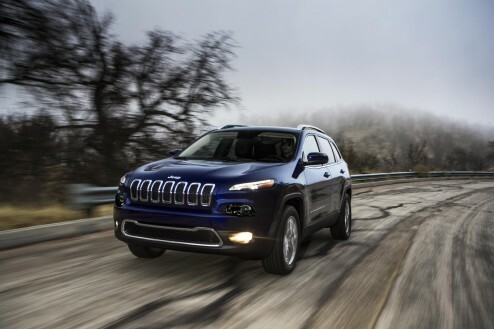 Using laptops, internet connection, and a software that could let them send a command through Cherokee’s infotainment system, UConnect, they could make a mess with AC, radio, windshield wipers, transmission, and even shut down the engine, and disable brakes! Scary, isn’t it? According to the hackers, UConnect system enables us to take and make a phone call and offers a Wi-Fi hotspot. They found a vulnerable element in the infotainment system that allows someone who knows car’s IP address to access from anywhere. Those who don’t want to wait can download the fix from DriveUconnect.com, put it onto their own jump drive, and install the upgrade that way.